Artist John Sloane invites you to accompany him on a leisurely stroll through the year, taking in nature's simple gifts and the joys of traditional country living. Once again he's created a trove of paintings that pay tribute to a simpler time and transport the viewer to a welcoming place of beauty and tranquility. In this 33rd edition of his wall calendar, John Sloane is delighted to share with you a bountiful harvest of new paintings bursting with color and memories of bygone days. 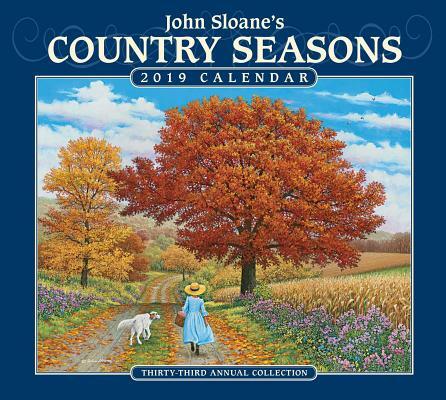 Sold in its own matching envelope and printed on heavy linen-textured paper, the John Sloane's Country Seasons 2019 Deluxe Wall Calendar will encourage viewers to savor each passing season.